Gorgeous outfit! I am loving the jeans, especially how you have cut up the bottoms! Love the suede trench and the pumps are fab! This is so so perfect, obsessed! this is the best coat for this year ! Love the blue & camel together! Such an unexpected, but pretty color combination! J'adore cette veste, elle est sublime! Très jolie combinaison de couleurs! J'adore tes escarpins! 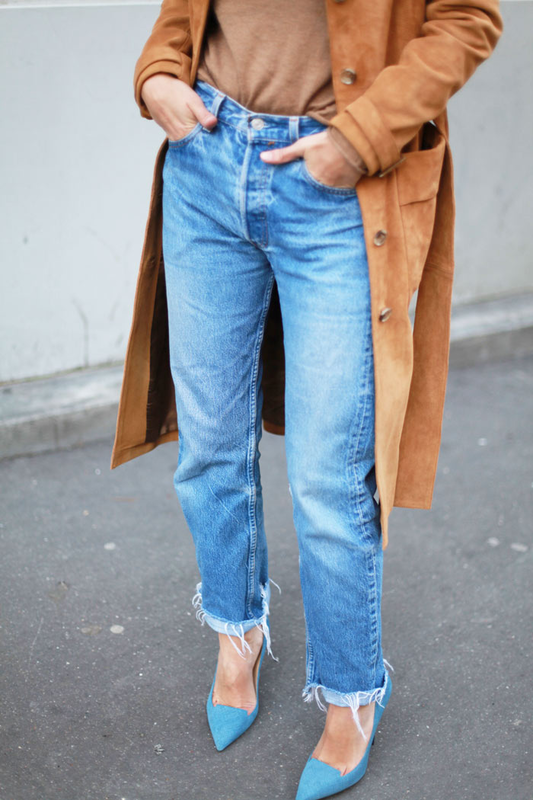 Look réussi : les escarpins bleus avec le jean et la veste camel, c'est parfait ! Top le look et j'adore la veste ainsi que tes shoes, superbe le mix de couleurs. Biz à bientôt sur mon blog. J'en suis folle. Elles sont superbes! Love this whole thing, that jacket is perfect and the shoes are too cute! 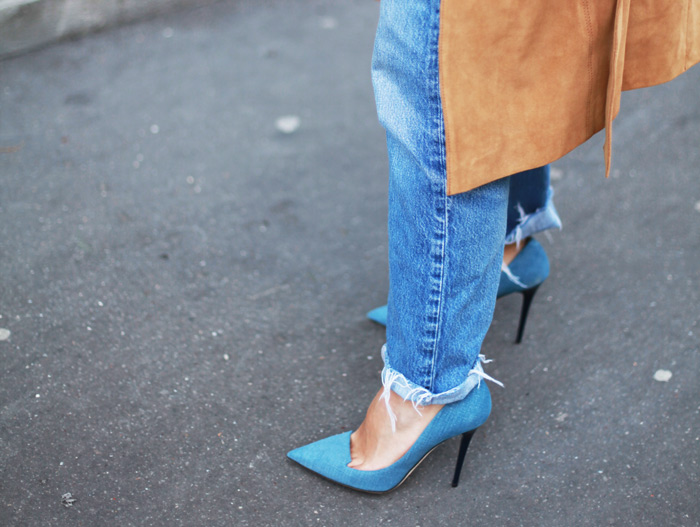 Wow the combo of blue heels and the blue jeans is so fab! Woow! I really love that look! Tes escarpins jimmy choo sont sublimes ! !